Long have we waited for a Wonder Woman movie or television show that didn't make us want to flay the very skin from our flesh. Now it looks like we just got one step closer. Warner Bros. and Zack Snyder have cast their Wonder Woman for the Batman Vs. Superman movie, and she's both Fast and Furious. This news also further hints at the presence of the Justice League in the Batman Vs. Superman film. 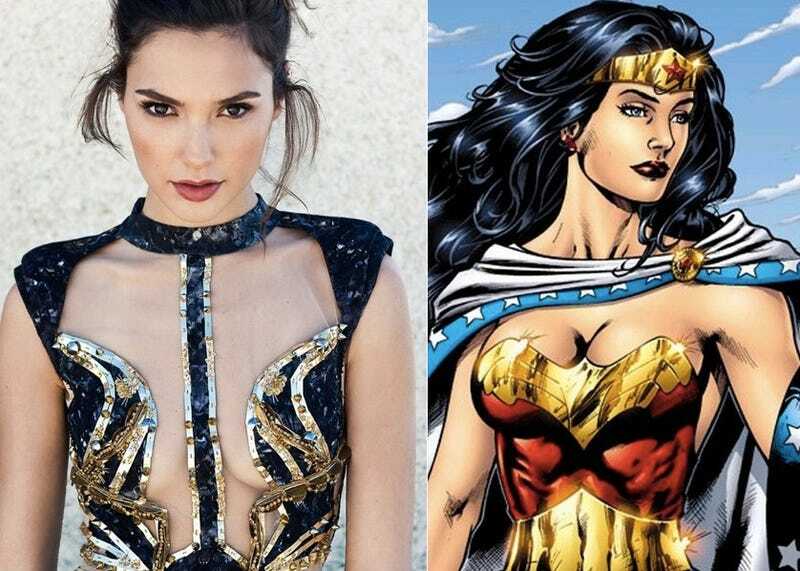 Does this mean that Gadot will forever play Diana Prince in future DC and WB flicks? We're leaning towards yes, as this studio is desperate to drink from the sweet, sweet comic continuity nectar that has flushed Disney and Marvel with cash. Now all they need is a villain, which Variety hints could be played by Callan Mulvey... iiiinteresting. What are your thoughts on the new Wonder Woman?